Just two cans of fizzy drinks are enough to increase the risk of diabetes, high blood pressure and heart disease, according to a new research. Sugary drinks, such as cola and lemonade, are known to lead to diabetes by causing a spike in blood sugar levels, according to the Mirror. High-levels of sugary beverages are long-known to cause obesity and lead to chronic illness, soda consumption is steadily rising among all age groups worldwide. Researchers say the drinks are 'energy dense' and their consumption has been associated with excessive caloric intake and subsequent weight gain. In the study, individuals consuming sugary beverages for 10 weeks displayed a 17 percent decrease in insulin sensitivity. 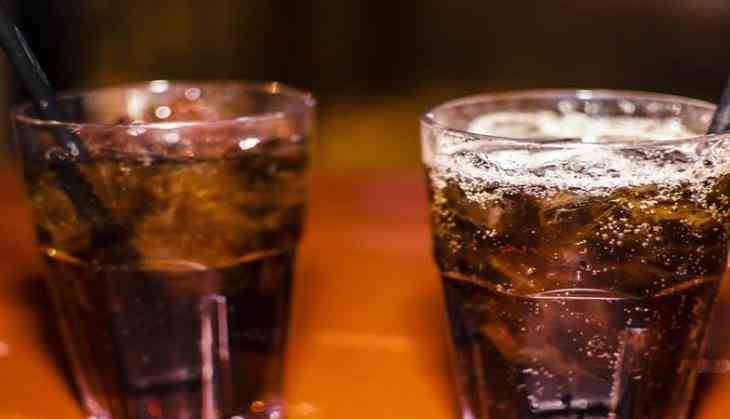 Professor Faadiel Essop, a co-author of the research from Stellenbosch University in South Africa, said, "Sugar-sweetened beverage consumption is steadily rising among all age groups worldwide. Our analysis revealed that most epidemiological studies strongly show that frequent intake of these beverages contributes to the onset of the metabolic syndrome, diabetes and hypertension." Many of the analysed studies found drinking at least one sugar-sweetened beverage a day was associated with elevated blood pressure. The United Nations warned six years ago that chronic diseases posed a greater health risk than infectious diseases. A 12-ounce can of Coca-Cola contains 39 grams of sugar and 140 calories. Professor Essop added, "Excess sugar consumption has surfaced as one of the most prominent global dietary changes during the past few decades and is considered a primary driver of cardiometabolic diseases onset." He concluded by saying, "The findings demonstrate there is a clear need for public education about the harmful effects of excess consumption of sugar-sweetened beverages." Environmental toxins making biological 'clock' tick the wrong way? READ NEXT >> Environmental toxins making biological 'clock' tick the wrong way?